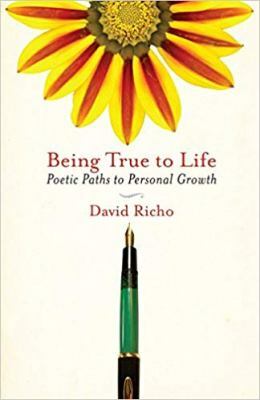 Psychotherapist David Richo offers a fresh and inspiring approach to personal growth: we can use the process of writing and reading poetry to move toward greater self-understanding and emotional healing. Even if you’ve never written a poem before, you can learn to use poetry to explore your feelings, your relationships, your childhood, your dreams, and more. Richo explains how the creative, intuitive process of making poetry can help us gain access to our deepest truths, leading us to make connections and explore experiences in a new way, beyond the constraints of everyday language. This book offers a range of practical exercises for getting started, as well as guidance on how to read poetry in a way that can be personally transformative. Being True to Life shows us that poetry is not reserved for a few specially talented individuals but is a deeply human activity that anyone can tap into for greater clarity and insight into life’s struggles, beauty, and mysteries.